The Eastern Turkistan Education and Solidarity Association has been established by Turkistani youth who are very well study , faithful and highly educated in Islamic, social, technical and other fields from all over the world including Eastern Turkistan under Chinese occupation. The mission of our association is to educate and bring up Turkistani Muslims, forming a part of the Muslim Ummah (Nation) and suffering from the unbelievable oppression of cruel Chinese communist regime, living in Eastern Turkistan as well as abroad, by meeting their Islamic, social, cultural, spiritual and earthly needs using all the resources available. We have decided to fundamentally end the ignorance in Eastern Turkistan which is one of the main policies of the Chinese communist regime there. China has been applying such policies keeping Turkistani people ignorant and uneducated. Consequently, our first slogan is determined to be an education. Then, our enemy is very strong and autocrat, so the solidarity is the most important weapon to cope them based on our needs and Islamic belief. 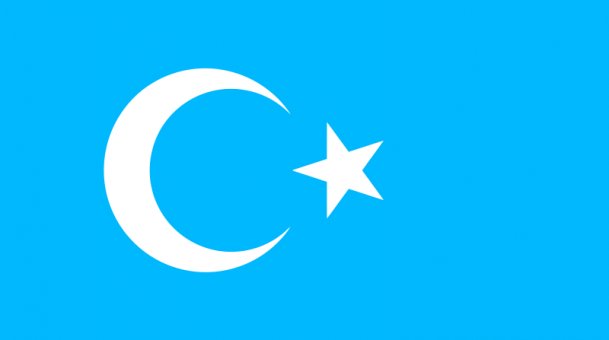 The Eastern Turkistan Education and Solidarity Association is hoped to be the beam for the salvation of Turkistani Muslims from ignorance and Chinese occupation. The research department of the association is formed to research and preserve the historical, cultural, and Islamic values of the Muslims of Eastern Turkistan. Video audio, CD, VCD, DVD etc. The association has women wing as well. The women wing will participate in all the activities of the association to bring the beam of knowledge to the Muslim mothers and sisters of Eastern Turkistan. The association will try to solve all kinds of social, spiritual and economical problems of Turkistani Muslims. The association will organize seasonal and annual picnic and educational training camps. To provide books and meet other needs. To guide them to the job fields and Islamic works after the graduation; or the association will try to provide a suitable job in their major if available.